(23 cm), x, 81 pp., frontispiece,  leaves of plates. Publisher’s green cloth, dust jacket (Brodart dust jacket protector). - A revised, second edition appeared in 1977. 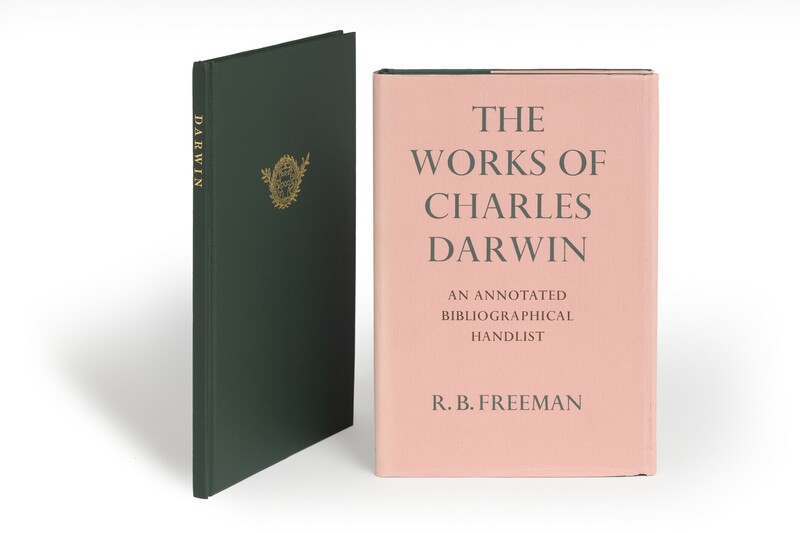 Offered with Darwin : the evolution of the man : from the collection of Garrett Herman (catalogue of an exhibition held at The Grolier Club, New York, 21 January-12 March 2004). New York: The Grolier Club, 2004. (24 cm), 37 (3) pp., text illustrations. Publisher’s green cloth. ¶ Excellent, unmarked copies. (23 cm), x, 81 pp., frontispiece,  leaves of plates. 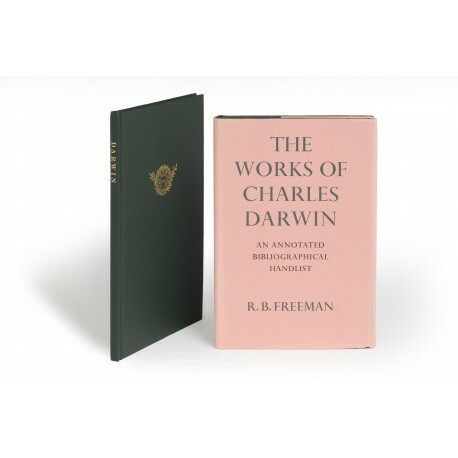 Publisher’s green cloth, dust jacket (Brodart dust jacket protector). - A revised, second edition appeared in 1977. ¶ Excellent, unmarked copy. (24 cm), 37 (3) pp., text illustrations. Publisher’s green cloth. - Catalogue by Megan Webster. For Jean Grolier & His Friends: 125 Years of Grolier Club Exhibitions and Publications, 1884-2009 (New York 2009), P452. ¶ Excellent, unmarked copy.